This is a new mural initiative for the Cabbagetown neighborhood, specifically the 10 7 x 7 squares on the back entrance of the Cotton Factory Lofts. 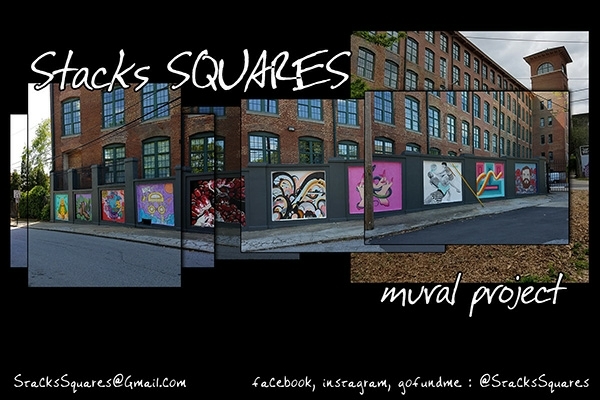 10 artists will be selected to paint murals on these squares and a new round of artists will be chosen to paint 90 days later. With our budget / raised funds we will be able to award the artists with an artists fee along with paint for their murals.